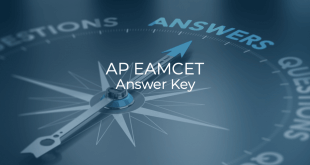 Candidates applying for AP EAMCET 2019 are provided a facility to make corrections in their application form particulars. It is a one-time facility and is extended to the candidates to avoid any hardship to them. Jawaharlal Nehru Technological University Kakinada (JNTUK) will enable the correction facility from April 6, 2019 to April 10, 2019. Registered applicants can use the facility to correct any errors made in the application form. In order to make corrections, candidates are required to visit AP-EAMCET Portal and fill the required details. Candidates can change/modify the information furnished in the online application form as per their eligibility. The errors (if any) are grouped into Category-I and Category-II. The details under Category-I can’t be changed by the candidate while the details under Category-II can be changed by the candidate. Details under this category cannot be changed by the candidate. 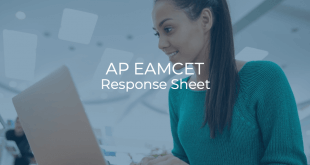 In order to correct these details, candidates can make a written request to the CONVENER, AP EAMCET 2019 through e-mail by sending supporting documents to [email protected] from the registered e-mail ID of the Candidate. These corrections will be done after verification of the valid documents and approval by the Committee. If the Committee rejects the requested correction, then the application is incomplete/ invalid. Corrections related to all the details in online application form other than those listed in Category-I can be changed by the Candidate during the permitted period i.e April 6, 2019 to April 10, 2019 only. Open EAMCET website and click on “Correction of Online Application Data” or directly go here. Enter application details and click on “Procced to Fill Application”. Make the corrections in the application form and submit. Take printout of application summary page. 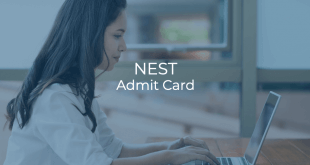 The Andhra Pradesh Engineering, Agriculture and Medical Common Entrance Test (AP-EAMCET) is conducted by Jawaharlal Nehru Technological University Kakinada (JNTUK) on behalf of Andhra Pradesh State Council of Higher Education (APSCHE). This Examination is the pre-requisite for admission into various professional courses offered in the University/ Private Colleges in the State of Andhra Pradesh.